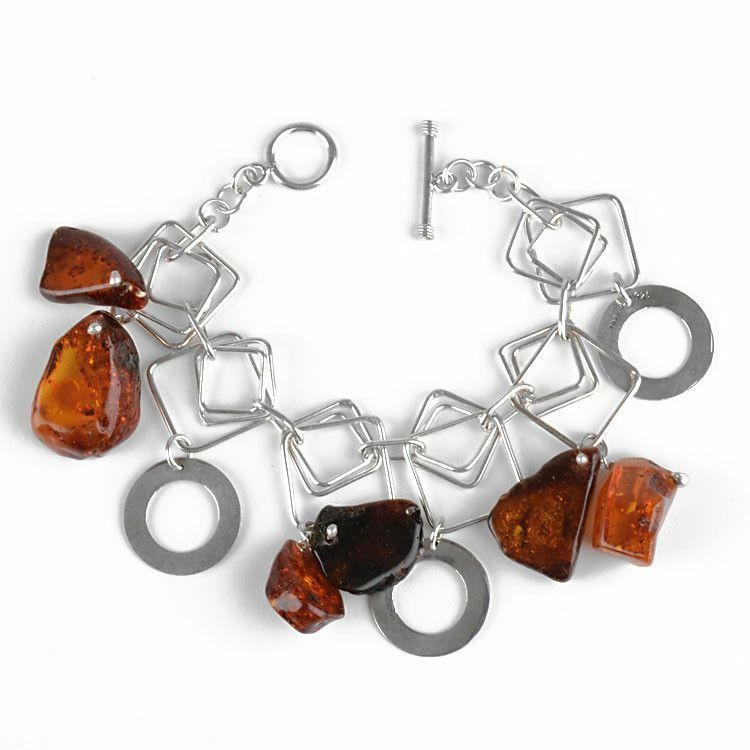 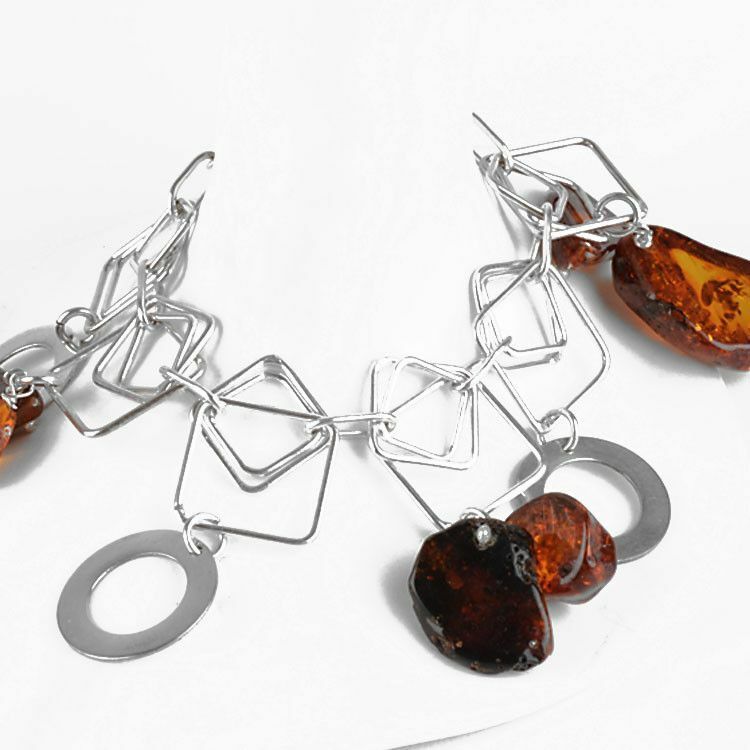 This natural amber and sterling silver bracelet was wonderfully and uniquely hand-crafted with a jingling and dangling assortment of silver squares, hoops, and chunks of pure Russian honey amber. 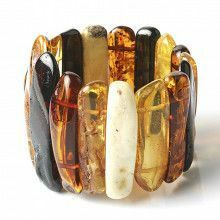 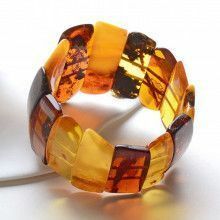 The attractive and authentically Russian Baltic Sea amber stones contain many sparkling inclusions. 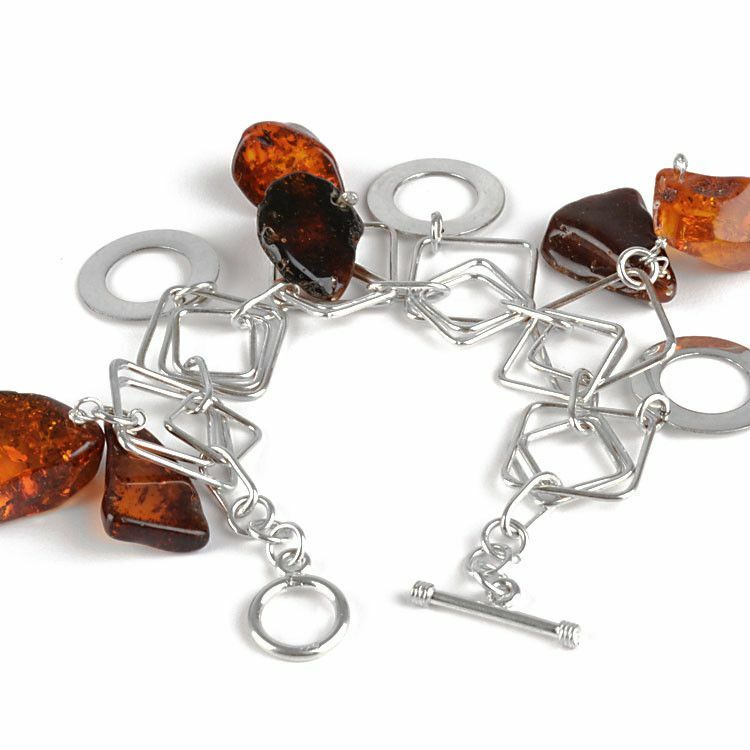 This fun and stylish toggle clasp bracelet is Approximately 7 1/4" long and fits petite wrists around size 6 wrist quite well. 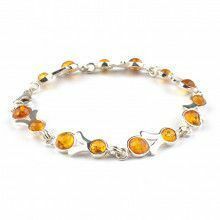 Because this style bracelet was made by hand and every organically shaped amber stone is different from the next, yours may vary slightly from the one pictured here.